Electric car company Tesla Motors (s tsla) is doing a balancing act this year. As it ramps up production of its wildly successful Model S car, it also needs to get its crossover minivan/SUV Model X car closer to production, and it needs to start working on the design of the newly-named Model 3, which will be its lower cost mainstream car. And, oh yeah, while it’s doing these difficult tasks, don’t forget about those plans to soon start building the world’s largest lithium ion battery factory in the U.S. Yikes. Can Tesla do it? Do you doubt Elon Musk? 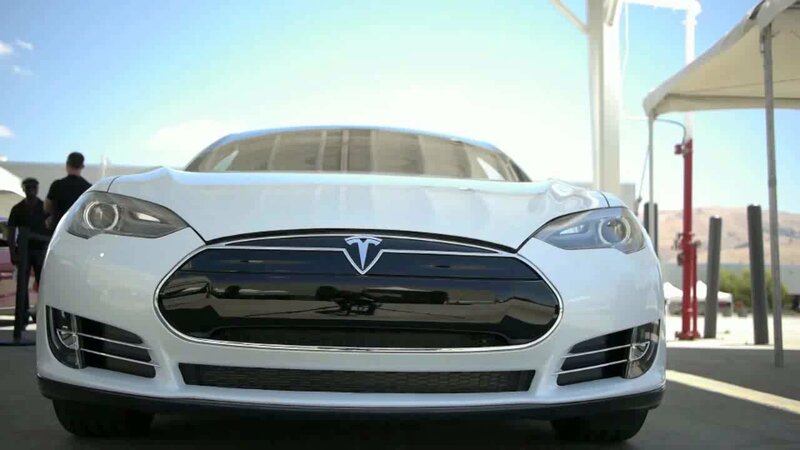 A shot from one of our videos of the Model S. Image courtesy of Gigaom. 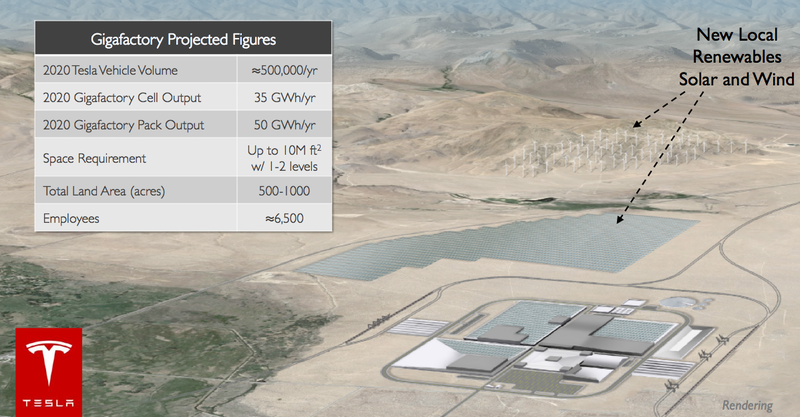 The “gigafactory”: Where, when, who? Rumors have been trickling out that Reno is one spot that Tesla has picked to start initial construction of the massive battery factory. There’s no concrete confirmation, but multiple reports say there was a gargantuan amount of construction being done at the Tahoe Reno Industrial Center. But then there were other reports that that construction all of a sudden was halted, potentially because of missed milestones. Other speculation says that California has become much more attractive to Tesla and Stockton might be a front runner. Who knows. Remember that Musk has said Tesla will likely break ground on multiple sites to make sure whatever site they choose is ready to go as soon as they are. I’d love for Tesla to give more information about where the factory will be in the earnings call, though they’ll likely hold that information for later this year. But expect analysts to ask about it repeatedly on the earnings call. Do expect Tesla to give more confirmation of who will be involved with the factory. According to a report in Japanese newspaper Nikkei this week, Tesla has reached an official deal with Japanese battery giant Panasonic to work on the gigafactory and the companies will make this announcement “before the end of the month,” — ie. on the earnings call (July 31). Everyone knew this was coming, but it’s good to know it’s actually happened. Nikkei reported that Panasonic will invest an initial $194 million to $291 million into equipping the factory with the battery making equipment. Tesla in turn will invest in the land and the building. Other companies will likely be involved too. Panasonic’s total investment could be $1 billion of the $5 billion factory, according to Nikkei. 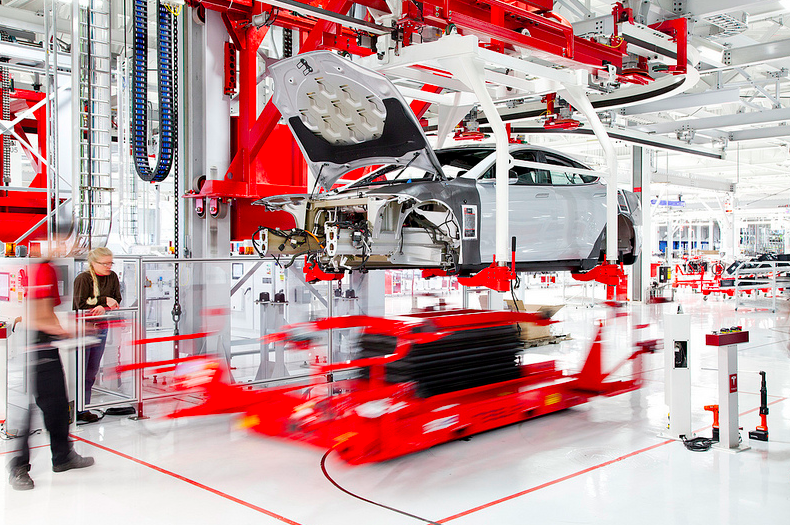 Model S ramp up: Last week Tesla paused production of the Model S at its factory in Fremont for two weeks in order to upgrade the factory for more automated manufacturing of both the Model S and the upcoming Model X (which is built on the same design as the Model S). Production will resume on August 4th. Tesla robots, courtesy of Tesla. Expect to hear on the earnings call about how that automated upgrade happened and now what it can deliver. Tesla said on its last earnings call that it planned to make between 8,500 and 9,000 Model S cars in the second quarter, and Tesla has been trying to ramp up to make 1,000 cars per week (it was at 700 as of the end of the first quarter). Will it make it there with the upgrade, and how close is the company to being production ready for the Model X? Tesla is hoping to deliver 35,000 Model S cars this year. Model X on track? : Launch of the Model X car is actually behind the very early initial goal of the end of 2013, as well as the second goal of the end of 2014. Now it’s solidly going to be in 2015, and potentially the summer of 2015. Will it be delayed anymore? Tesla’s original Roadster was delayed by many months, though Tesla was also a tiny startup back then and it was building an electric car for the first time. The styling of the Model X is already underway, Tesla announced during the last earnings call. Hopefully we’ll get updates on how close to production ready the Model X is in the call. One of the harder parts of the Model X is getting the doors right, and sealing them has been a tough engineering challenge. 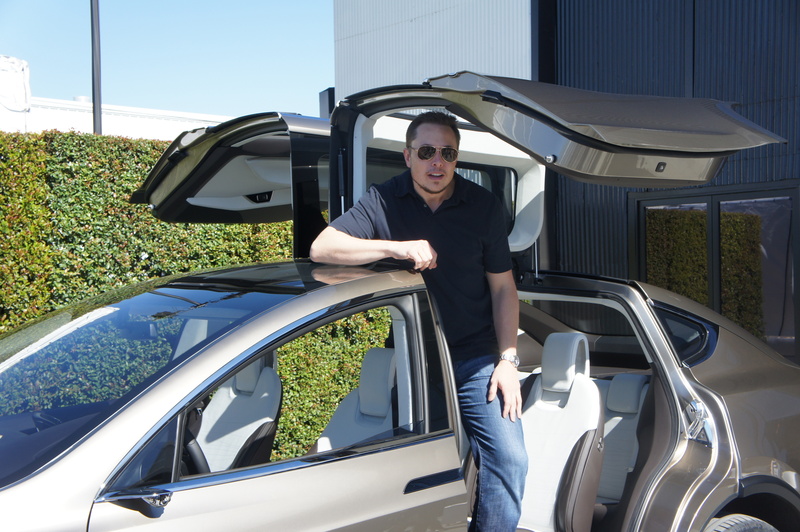 Elon Musk standing up in Model X. 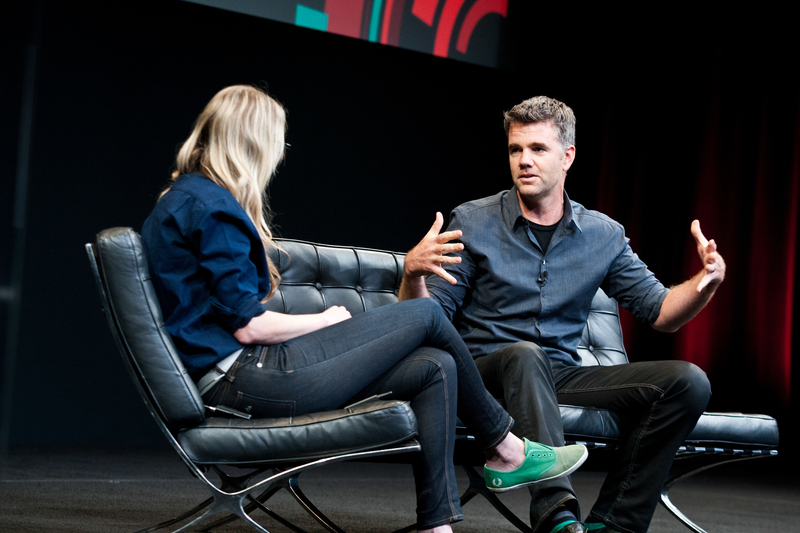 Image courtesy of Gigaom. Finally, the Model 3: Tesla confirmed the name of its third-generation car as “the Model 3” earlier this month. Tesla names its cars in ways that purposefully don’t overshadow the Tesla brand, so yeah, they can be a little dull. Because the Model 3 is the farthest off on the road map, there has tended to be less speculation and reporting on it. But the Model 3 is actually the lynchpin to Tesla and Musk’s plans to make electric cars mainstream, and it’s also the reason why it is building the battery factory. There’s no way Tesla can ramp up battery production to sell a planned 500,000 cars without it, so Model 3 is a huge deal. Tesla Chief designer Franz von Holzhausen told me at our Roadmap conference last year that the design of the Model 3 would be under way in 2014, and that it could potentially have a more provocative design compared to the Model S. It will also be based on an entirely new electrification platform, different than the Model S and X.
Don’t expect much news on the Model 3 at this point. Tesla will probably start showing off designs of the Model 3 a good time after it gets Model X out the door next year. There has been some recent articles written about a possible drive unit problem with the Model S. The Edmunds long term test car has had its drive unit replaced multiple time. I hope that this is discussed & that Tesla shares whatever information it has. I am long Tesla and am very much hoping that this is not a serious problem. Looks like it is a bearing issue, not a totally drive unit failure. Until now, no Tesla Model S broke down. The company is replacing the as a predictive measurement. What is well different from other manufactures that let your car break down and then ask for a high price to fix it.